Sold by Wimberley, Inc. and Fulfilled by Amazon in easy-to-open packaging. Gift-wrap available. The Wimberley Head is a specialized gimbal tripod head for telephoto lenses. 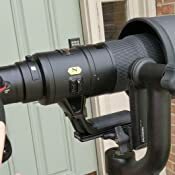 Its gimbal head type design allows you to easily support and manipulate very large lenses for tracking birds and animals. Since its introduction in 1991, the Wimberley Head has become the industry standard for serious nature photographers. The Wimberley Head Version II offers the same stiffness, capacity, and fluid movement of the old version in a more compact and lightweight package. The head’s redesigned panning base has zero play, and the pan locking knob has been moved to the side of the head, thus allowing the user to easily operate both knobs with the same hand. New lobed “soft-touch” knobs provide a more comfortable grip and perform better when using gloves. In addition to the above improvements, Wimberley has examined all aspects of the head, tightening tolerances, improving friction materials and so forth. Our goal has been to make this head functionally and aesthetically better in every way than the old version and competing products. 5.0 out of 5 starsWish I'd bought the WH-200, in the first place, rubberized knobs, solidly bilt, perfect performance. Had been using a cheap Gimbal head, it worked perfectly panning or slightly, tilting up or down, but if you had to tilt upwards or downwards more that a bit, the image was no longer centered or squared it would tilt the image left or right, was frustrating, and had to put the image in my editor and level the photo, lots of extra work, basically, I stopped using it... Took the new WH-200 out today for the first time, and, WOW, what a difference, installs easily, if you have a small thread on your tripod you will need to get that larger screw thread to fit over your existing one, as I had already gone through this with my cheap Gimbal, I had that correct thread to screw the WH-200 into, was sort of disappointed that this item was not included in the box. The Wimberley WH-200 II is worth every cent in my opinion, I noticed the seemingly rubberized knobs, which I'm sure to appreciate this winter, the metal knobs, like on my cheap gimbal were very cold last winter. Your hands grip the rubberized ones securely, so-to-speak, as compared to metal. 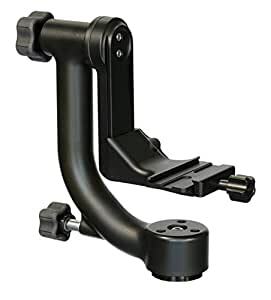 This is an expensive Gimbal, and will bother me for a while, as I'm always looking for that lowest price, however, I will have to admit, "You get what you pay for..."
WOW! I had the head kicking around for a couple of weeks and was debating why I spent so much and was I going to use it, etc. Had some awesome spring bird opportunities develop from my deck and quickly figured out why people pay so much for this head...it's AMAZING! I couldn't believe the ease with which I was able to adjust for quickly moving birds shots as they flitted from tree to tree! I got lazy and tried to leave it on for some panoramas on a sloping grade vs putting my ball-head back on. Ball-head is definitely not going anywhere anytime soon as this Wimberley definitely meets a specific need. Still, for birds, it is fantastic and I'm very glad I dropped the $ for it! I'm using this with a 500mm lens and flash using various Wimberley brackets and adapters. It's awesome and highly recommended but I'm docking a star for two small issues... 1) with my new, lighter weight 500mm lens and attached flash and extender I cannot get a perfect balance. I suspect the issue is that the center of gravity is a bit high even with the clamp all the way down. If the arm was an inch or so longer I think balance could be achieved. All that said, it's not *bad* it's just not perfect. 2) this is nit-picky but the action is not as smooth as it might be, I'm sure due to the bearing system used. You could argue you don't want a friction-less system with all that expensive gear swinging around, but I'd like to be able to control that with a tension adjustment. 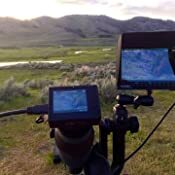 Fabulous tool for wildlife photography. It would be very helpful to recommend each of the quick release plates at the time of purchase. The versatility is extraordinary but the customer should be warned that a separate purchase is required. This is more more a matter of convenience than a concern. One purchase w the appropriate accessory would save time and avoid a last minute hassle. I was really struggling to take pictures of wildlife with my heavy 200-500 mm lens mounted on a ball head. If you loosen it to follow something, it's all over the place ... very hard to control. If you tighten it a bit to minimize the movement, it still doesn't help. I always worried about it being tight enough if I wanted to walk away for a minute, because if it wasn't tight enough the camera lens would lurch forward and possibly damage the lens or camera. I like trying to get photos of Roseate Terns (and other birds) on the harbor where I live. 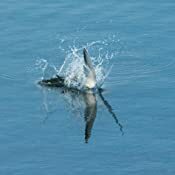 These birds fly fast, turn fast, and when they see a fish, they're like a kamikazi ... they dive straight down into the water. I always had trouble getting them at the right point in time, and if I did catch one, the photo wouldn't be level. 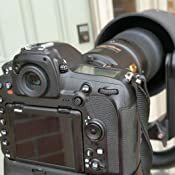 The Wimberly Gimbal is very sturdy, takes all the weight off the camera, and allows for smooth panning up and down and sideways while keeping the camera level. I love how fluid it is, and if you clamp it down just a little, the camera and lens will stay where it is aimed from a vertical standpoint, but you can still move it in a different direction any time you want. It's a bit expensive, but worth every penny in my book. I learned ball-heads are lousy support mechanisms for large lenses (Nikon 300mm f 2.8) up in Glacier National park last year. When you consider the physics involved it makes sense: the torque against a long lens supported at some random focal point has to be much greater than the weight of the lens itself. So when I finally learned about this magnificent Gimbal Head (quite by accident), well.... The logic was overwhelming. And it works so well (balanced support! What a concept)! I did have to order a different plate (P30) for my lens, so I recommend that anyone seriously considering go to Wimberley website and discover what's suitable for your specific needs.... Anyway, the new rig is pretty heavy, but damn, it's so incredibly sturdy and stable (p.s., using with a MePhoto Tripod). The Wimberley Gimbal Head makes your camera and big lense "float". Instructions were clear and easy to follow. I did watch some Wimberley Youtube videos just to make sure I didn't miss anything. Balancing is important and once done, your camera/lense will move easily with 1 finger and maintain it's position anyway you point. This is a solid piece of equipment made from quality materials. Wimberley Customer Service is outstanding. Ordered a couple accessories and they contacted me to offer more cost effective shipping options. This is a great head. I use it for a spotting scope for digiscoping and really like it. I like the strong metal construction of it.